Chances are, if you plan to use Articulate Storyline, you’ll probably drop a few quiz slides into your project. 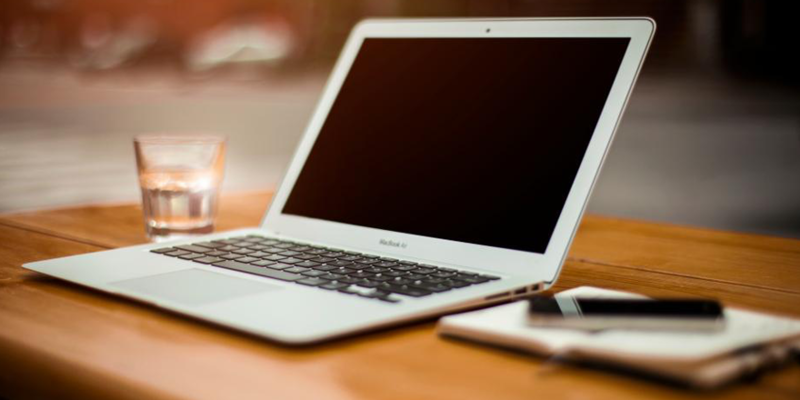 After all, one of the key components of e-learning is the knowledge check, which ensures your learners are retaining everything they are supposed to. Storyline offers a range of quizzing features including a wide variety of quiz types, powerful question bank features, and even survey-style questions. I thought I’d share a few important things about working with Storyline quizzing and the options available to you. A graded quiz question has a correct and an incorrect answer and uses a score based on the learner’s answer. Storyline comes with about a dozen graded quiz types, including all the basics you’d expect to see, such as multiple choice, true or false, and matching drag and drop. When you insert a graded quiz slide, our handy Form View editor will appear where you can set up your question, the potential choices, and your feedback text. Remember that using a variety of different quiz types can keep things more interesting for your learners! Survey questions are not scored and do not have a correct or incorrect answer. As their name implies, survey questions are intended to gather information, not to score learners. Just like graded quiz slides, there are a dozen types of survey slides available, and you can use the easy Form View editor to them set up. You might use survey slides for something like a post-course evaluation to uncover the learner’s thoughts about and reactions to the e-learning. Here’s a link to a tutorial on quiz slides: Adding Graded and Survey Quiz Slides. 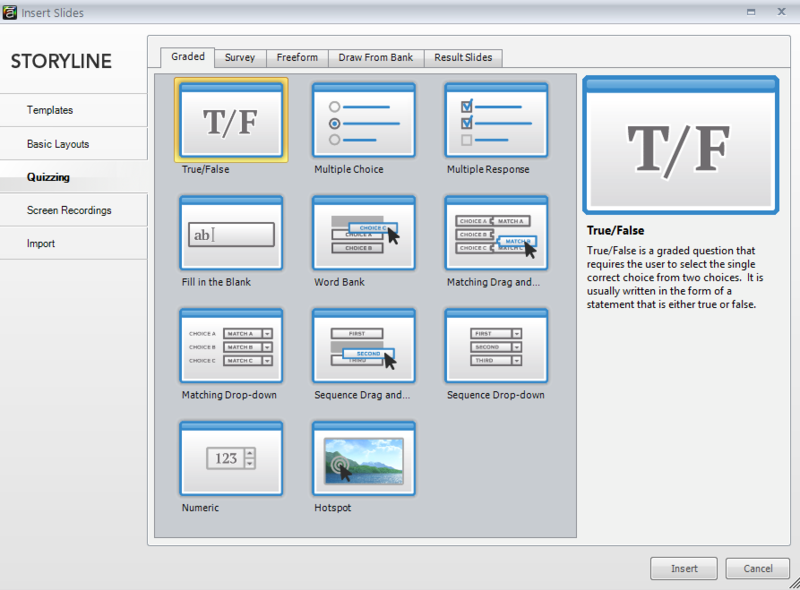 Freeform slides are one of Storyline’s incredibly powerful features. With it, you can take any slide with regular content, such as images, text, and shapes, and turn it into a fully interactive and dynamic quizzing slide, in just a few clicks. The Convert to Freeform feature automatically adds feedback layers and a Submit button to your slide. There are several freeform quiz types to choose from including pick one, pick many, and drag-and-drop. 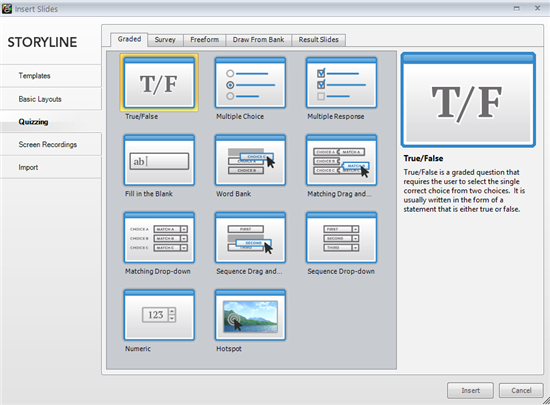 All of these are really easy to set up using the Storyline Form View editor. With all of these great quiz types and features, you’ll have no problem creating the perfect assessment for your learners. Do you have any tips or experiences of your own that you’d like to share about creating Storyline quizzes? Please leave your feedback below! Love the idea of survey questions, but how and where are the responses stored? I haven't been able to figure out how to retrieve response. Any ideas are welcomed. Thanks. Recently, I have been learning how do use Articulate Storyline. I am finishing up my first course and have decided to use the side menu to guide my learners. Unfortunately, this menu can provide a means where the student could skip the content. Does anyone know if there is a way of preventing a learner from skipping your course and challenging the quiz? I do not want to lose the side menu unless it is absolutely necessary. Any suggestions? Robin - You can set the menu to "Restricted". Then its locked the first time they go through, but once content has been visited, it opens up.